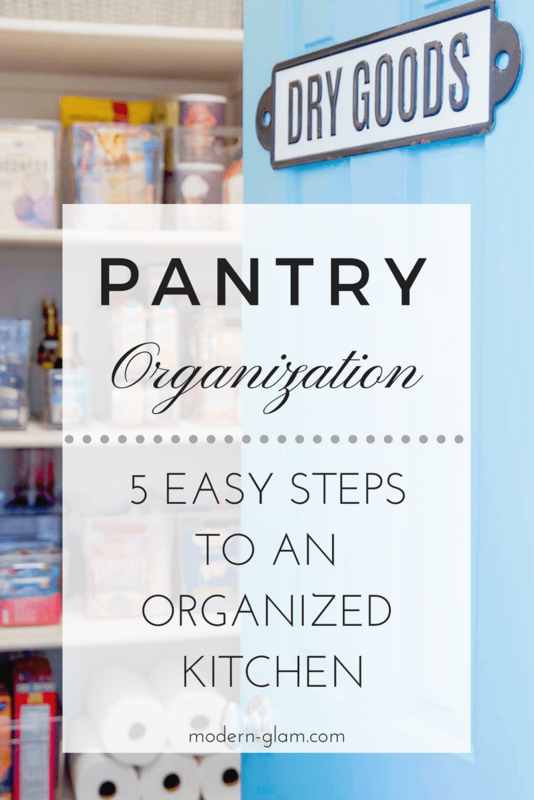 Pantry organization is something that I have been pinning and saving for over a year. I knew I had to get started, but I was scared! Scared because I knew what a huge chore it was going to be. 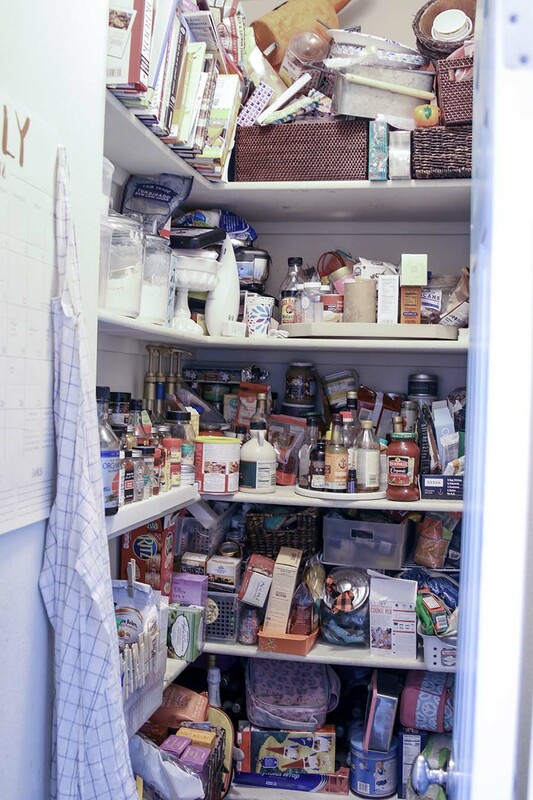 But, do you ever feel like you have no idea what’s actually in your pantry or kitchen cupboards because they are so messy? 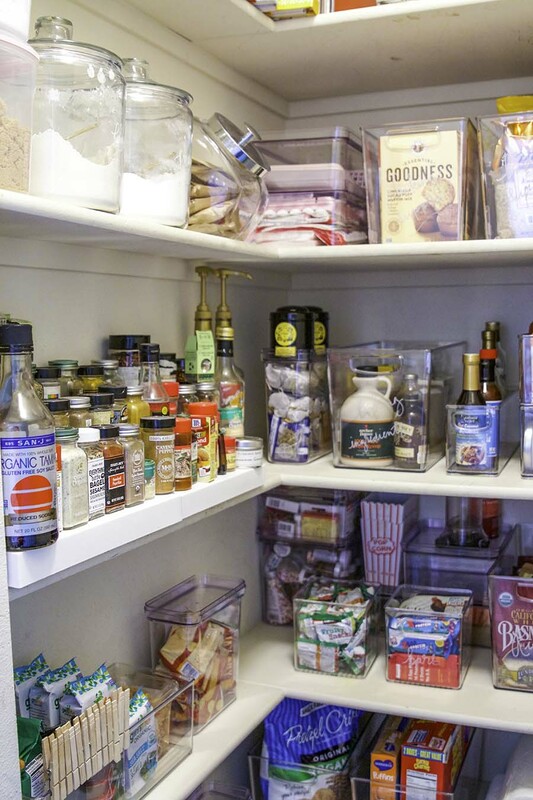 I finally got to that point and dove head first into my pantry organization project! And guess what? I survived! And I came out with a few tips to share with you! I’m joining 3 of my blogger friends to share some organizing inspiration with you. 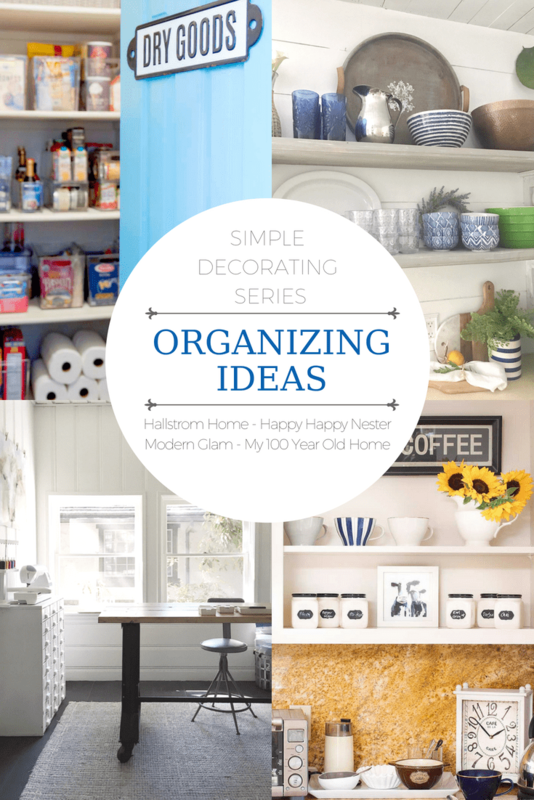 Be sure to check out the other blogs below for tons of organizing ideas and tips! The first tip is to take everything out of the pantry. Toss expired foods, half empty packages of snacks that won’t be finished and anything that’s been sitting too long. If you haven’t used it in over a year, get rid of it! I use the same rule in my closets. You will be surprised how much you can eliminate from the start! We tossed over 4 bags of old food or empty packages that were hiding in the dark corners! I don’t know about you, but I’m always buying new snacks for my kids to try, only to have them veto it. And instead of just throwing it out, I keep it forever. Lesson learned! 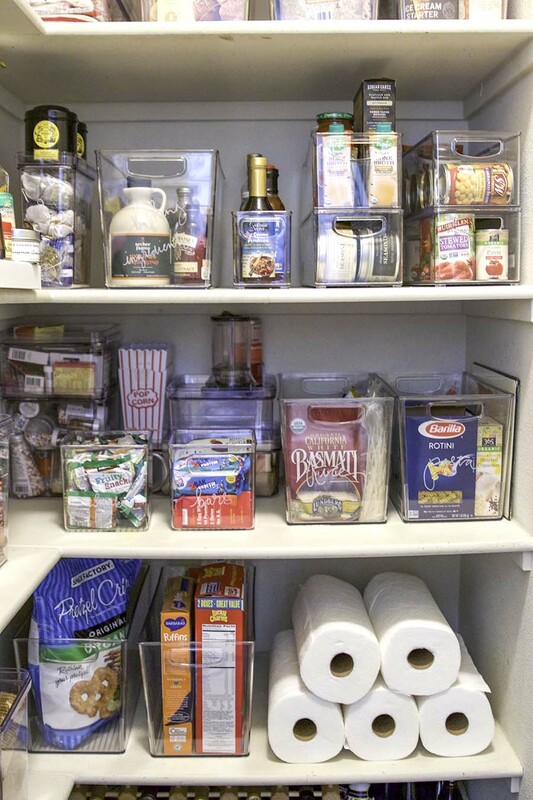 Once you have taken everything out of the pantry you can see what you need storage containers for. I made a list and headed to the store. For example, I wrote down that I needed containers to hold chips, cereal, pancake mix, canned goods and teas. I also took measurements of all my shelves, noting the depth, height and width. These measurements came in extra handy when I was at the store staring at all the options! 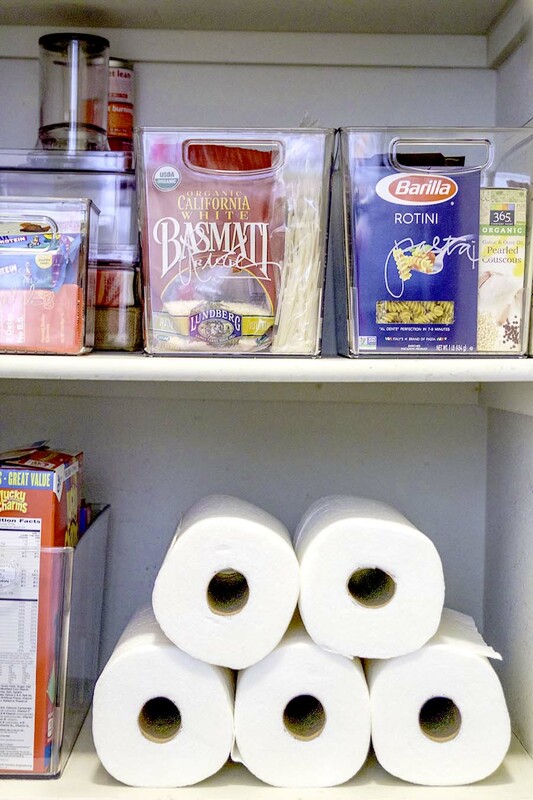 If you want to keep the pantry looking organized and clean, don’t put the kids snacks where they can’t reach them! I put all the food my kids are always grabbing for right at their level in an easy to access open bin. This makes the chances that they will put it back pretty darn good too! The same goes for my husband. I put his beloved chips right within eye level so he doesn’t have to go rummaging for them late at night. I put the lesser used items, like cake mixes, decorative sprinkles and birthday candles on the top shelves. As much as I love those pantries where all the food is in taken out of it’s original packaging and store in pretty containers, that isn’t my reality. 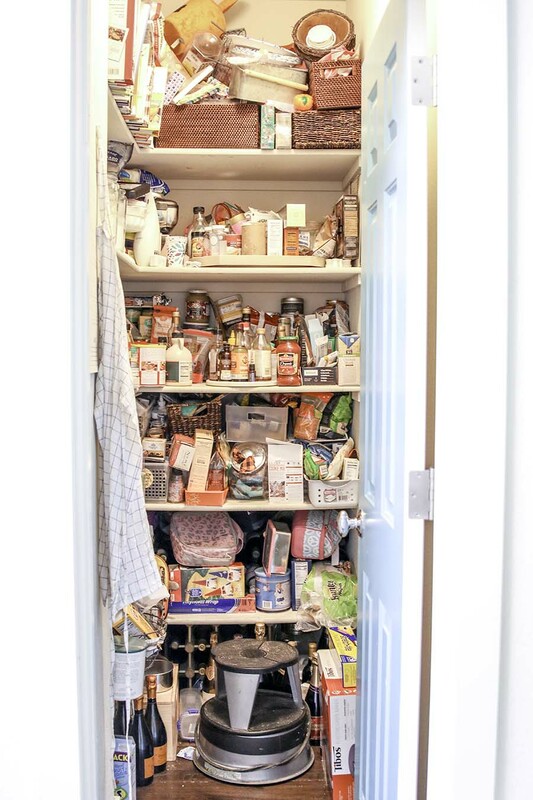 I wanted a pantry that required minimal upkeep. I want this to still look organized for years to come. So, being able to keep the food in the boxes it came in was pretty important to me. That’s where these large clear bins really came in handy. They are wide enough to fit a box of cereal and deep enough to fit the larger items, like a bulk sized bag of chocolate chip cookies from Costco, lol! 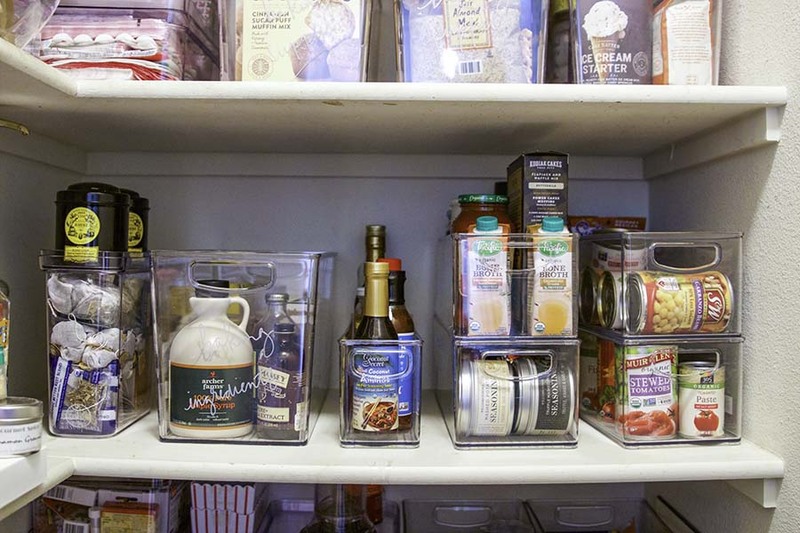 Utilizing these bins allows you to go vertical with your pantry organization. And they also come in a shorter size which can stack. These were perfect for the canned goods. I can easily see what’s on hand and pull out what I need. 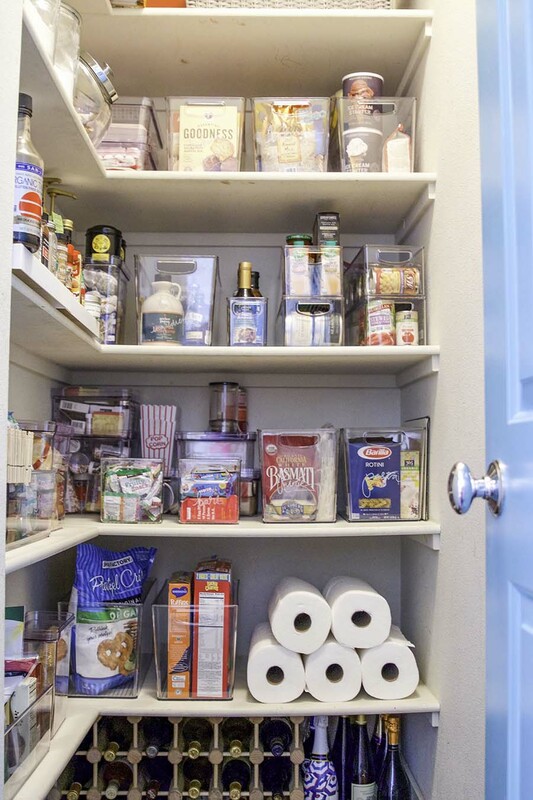 I love the look of pantries with beautiful baskets to store all the unsightly clutter. But, what happens when you have those beautiful baskets is you forget what’s inside of them! Having clear bins that aren’t too big make it easy to pull out and see what you have on hand. When I did my big cleanout I had over 6 cans of garbanzo beans! I kept on buying them because I had no idea if I had any at home. These clear bins make is easy to keep a mental inventory of what dry goods you have in stock and what you need to buy at the grocery store. TIP: It’s also helpful to have a grocery list posted in your pantry to write down what you run out of and need to get when you go to the store next! 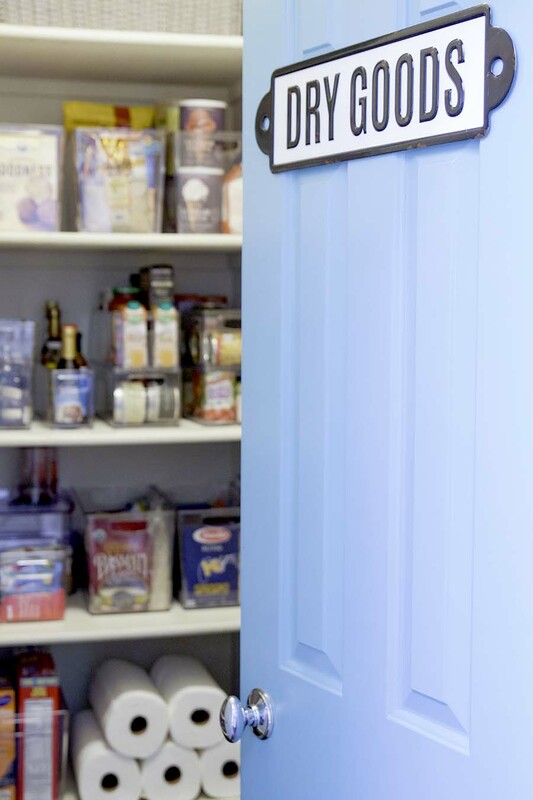 As much as I wanted to style this pantry and make it look pretty like it belonged on display, that’s not reality. This space is for food storage and I want it to be efficient and easy to maintain! I hope this brings you some inspiration. Go ahead and tackle that project and get your kitchen organized! I’ve linked all of the products that I used for this project below, plus a few that I didn’t get to use! Love your post! 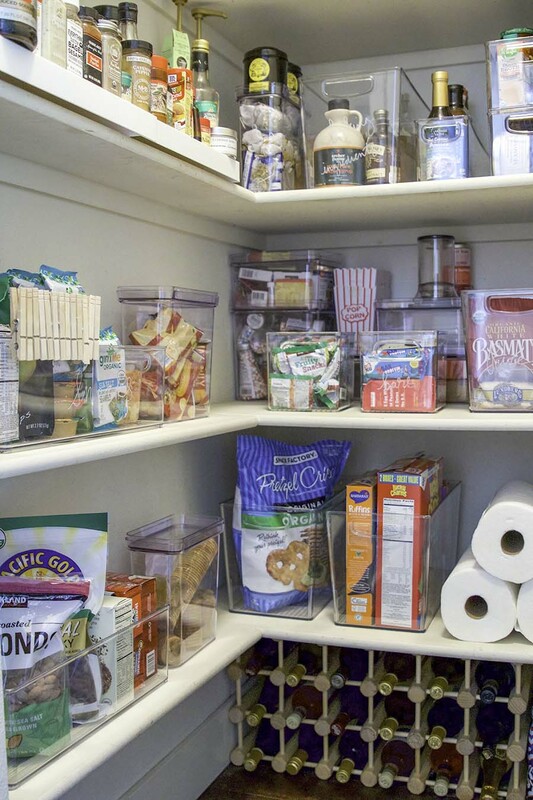 I absolutely agree that once you are organized you know what you have in your pantries! I have the same clear containers and I love them! Great post! Ashley this post is great! The clear containers are a great idea. 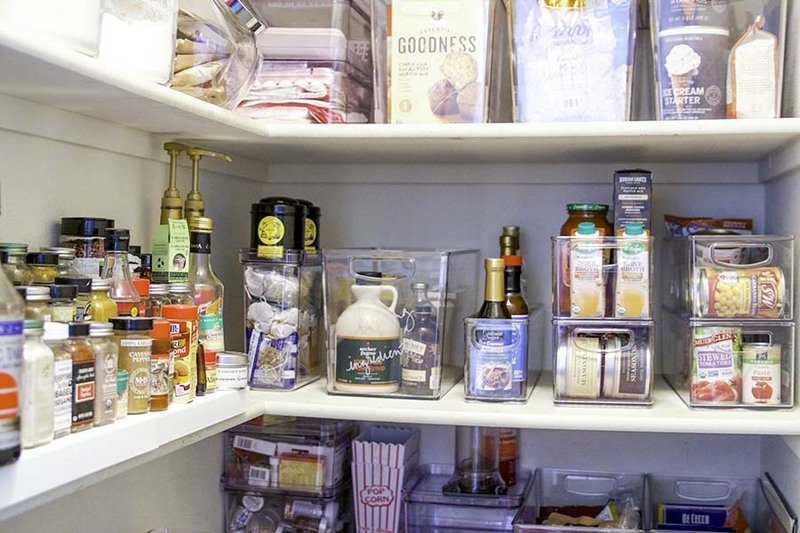 I will need to try out your tips because your pantry looks great.